While most people visit the center of Morocco for the famous city of Marrakech, its impressive Atlas Mountains (divided into the Middle, High, and Anti-Atlas sections) are also worth a visit. The mountain range forms the border between the rather humid climate in the North, and the dryness of the Sahara. While there are many very well-traveled hiking routes, it’s easy to get lost in the more remote areas of the Atlas Mountains, so inexperienced trekkers should consider hiring a local guide. With the right equipment, it’s possible to go hiking all year round, but be prepared for extreme heat in summer, and high snowfall in winter! Despite the snow, Morocco only has a few ski resorts. The Atlas Mountains offer countless different hiking routes. Oukaïmeden, with only ten kilometers of slopes, is the country’s largest ski resort, while Michlifen and Jbel Hebri (both close to Ifrane) are even smaller. The Atlas Mountains, many of which are over 4,000 meters high, feature Mount Toubkal (4,167m) the tallest peak in the whole of North Africa! Toubkal National Park, located in the mountain range, is worth a visit for its diverse landscape, including dense forests and dry rocky land. Many tour operators offer day trips to explore the mountains, but it’s best to leave a few days to really take in their beauty. Visit some of the small Berber villages to experience the lifestyle and culture of those who have been living in the Atlas Mountains for more than 4,000 years. With deep valleys and cedar forests, the Middle Atlas is the greenest part of the mountain range, and is therefore home to a range of wildlife, including wild boars, foxes, jackals, and Barbary Macaques (monkeys). If you like to fish, visit Ifraine National Park and try to catch some trout. Alternatively, head to Tazzeka National Park, which is home to steep canyons, impressive stalactite caves, and spectacular waterfalls. 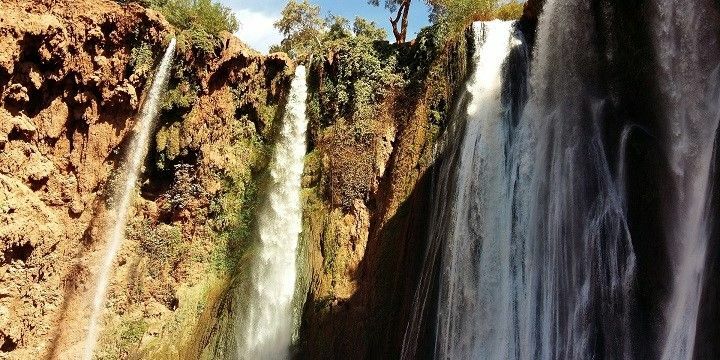 For Morocco’s tallest and most popular waterfall, however, you’ll need to visit the Cascades Ouzoud (110m), close to the Western High Atlas National Park! Cascades Ouzoud is Morocco's tallest waterfall. The Anti-Atlas is the quietest part of the mountain range; however, the Jbel Sirwa (3,304m), an ancient volcano, attracts a handful of visitors to the region. Thanks to the dry climate, you might come face to face with reptiles like geckos, lizards, and snakes. Although these won’t hurt you, watch out for the dangerous venomous horned viper, which also lurks in the Anti-Atlas. Another secluded area is Morocco’s longest beach, Plage Blanche (100km), in the West of the Anti-Atlas region. It is home to beautiful white beaches and impressive waves, which are perfect for surfing. The Plage Blanche is Morocco's longest, and very remote, beach. Marrakech, Fès, Meknès, and Rabat (located at the coast) are known as Morocco’s Imperial Cities, meaning they have all been the country’s capital at one point, with Rabat holding the title today. Marrakech is located at the foot of the High Atlas. Its most popular quarter is the Medina, the old town, with windy streets and the famous Djeema el-Fna. Be sure to stroll through one of the many souks (markets), where you’ll find everything from handwoven fabrics and leather goods to exotic spices. The intense smells, colors, and sounds will hit all of your senses! The most authentic way to spend a night in Marrakech is in one of the traditional Riads that only exist in the Medina. Fès is one of the four Imperial Cities in Morocco. Both, Fès and Meknès, are located in the Middle Atlas. Although the latter is a lot smaller than Marrakech and Fès, it’s no less remarkable, thanks to its impressive architecture, such as the ornate Bab el-Mansour gate. 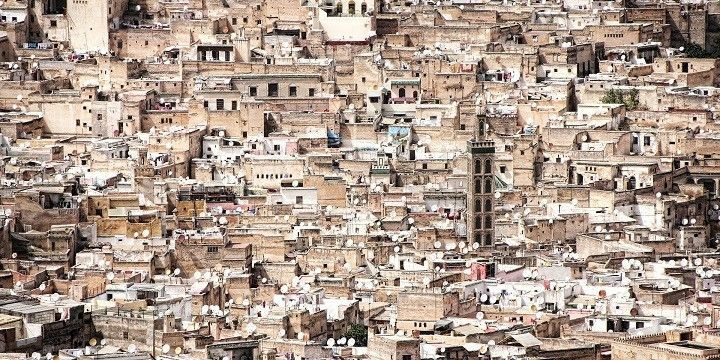 The medieval town of Fès, which is partially walled, is still one of the country’s most important religious and cultural centers. If NextStop24 helped you to choose your next travel destination, we'd be very grateful if you’d search for your accommodation and things to do in Morocco through these links. They're affiliate links, which means that we will receive a small commission for every booking made through them. There are no extra costs for you; you'll simply be helping to keep NextStop24 running. Thanks! Great nature, not too many beaches. Shopping and sightseeing in the cities.